One of the great things about digging for records is that from time to time you come across something you never expected to find. This can be some great album by a band you’d always admired, or just as frequently, something completely unknown that you buy on instinct, only to end up learning something in the process. This was the case with Nazia Hassan, which I bought, I’ll admit, out of pure curiosity. I’d never heard of her, just looking at the cover, I was scratching my head–what the hell is this doing in Lima? How exactly did it get here? Who thought to press this particular LP of early 80’s Indian disco? The explanation, it turns out, is actually pretty simple: thirty years ago, through the obscure magic of globalization, Nazia Hassan, a 15 year-old Pakistani vocalist recording in London, was a hit in Peru and across Latin America. (If this sounds hard to believe, check her out on YouTube, and see how many of the comments are written in Spanish.) Nazia would eventually be known as Pakistan’s “Queen of Pop”, and this 1980 album, her first, broke all sorts of sales records in India and Pakistan. Disco Deewane (recorded with legendary producer Biddu, who has given up music to be a writer, of all things…) went on to sell some 14 million copies worldwide, and the title track was a number one hit in Brazil. By the end of the decade, she was the most popular singer in Pakistan, and when she passed away in 2000 at the absurdly young age of 35, Pakistan lost an icon. She was posthumously awarded the Pride of Performance, the country’s highest civilian honor. I love these stories, love knowing that music has always been and will continue to be a language people of all backgrounds can share. And it’s easy to hear why Nazia was such a hit: you don’t need to speak Urdu to feel this. This past August 13th marked the 10th anniversary of Nazia Hassan’s death. 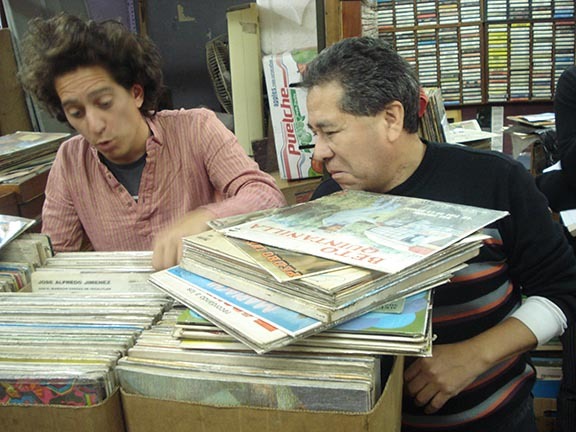 Quite coincidentally, that’s also the day I came across the record while browsing in downtown Lima. Here are two tracks: “Teray Quadmon Ko” and “Dil Mera”. This entry was posted in PELANGA RECORDS! and tagged Biddu, Disco Deewane, Nazia Hassan, Pakistan by Franz Tunda. Bookmark the permalink. Its not an Indian Disco, It is Pure Pakistani music saga. In fact pop music started in South Asia from Pakistan. 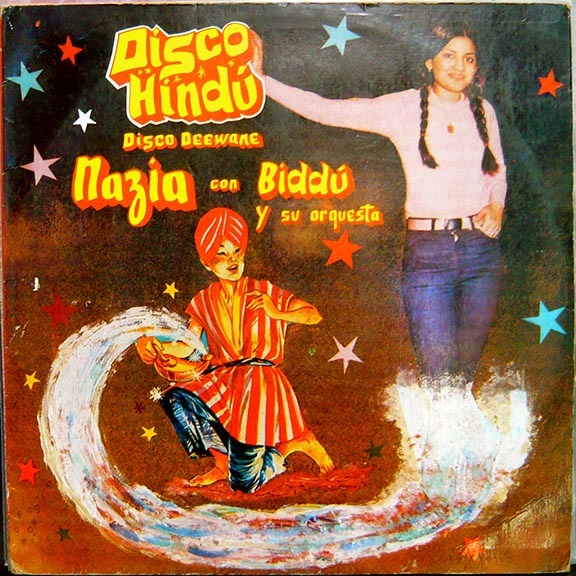 So calling it Hindu disco may not be relevant.